Barack Hussein Obama gives himself an “incomplete” as a grade for his job performance as President for the first 18 months. I wonder if this is how Harvard Law gave grades when Obama attended? Incomplete eh, more like a complete disaster. Unfortunately for the President and Democrats and fortunately for America, it is We the People who grades him and will do so in this year’s midterm election. “I” for incomplete or incompetence? It’s still too early to judge his administration, President Barack Obama says. In an interview broadcast on the CBS “Sunday Morning” program, Obama gave himself a grade of “incomplete” on the first 18 months of his presidency. While citing some accomplishments, Obama said the true measure of success will be when the economy has rebounded fully and people are feeling better about it. “We still have a long way to go,” Obama said. What might be one of the most frightening an out of touch comments that Obama made during the interview was when he said the following, “People have every right to be scared, to be angry, to be frustrated, I don’t expect the American people to be satisfied when we’re only half of the way back.” HALF WAY BACK!!! Obama thinks that our economy is half way back? Not even close sir. Obama does not get an “I” for incomplete, he gets an “I” for idiocy. All those fantastic Obama policies have provided the latest 2.4% GDP for the 2nd quarter of 2010 and no jobs. Interestingly enough American voters are not giving Barack Obama an incomplete, they are giving “The Obamamessiah” a failing grade. 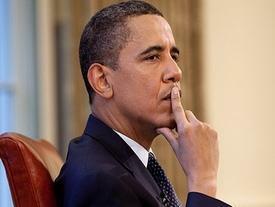 The American voters polled are giving Obama average 45% approval and nearly 50% disapproval rating. The only thing that voters find incomplete about Obama is his leadership, especially in the manner in how he handled the BP oil spill. Obama and Democrats are quick to trumpet Obama successes like the auto bail out, his spending packages that saved the economy and Obamacare. Really, these people think that Obamacare was a success? Presently the RCP average has only 38.3% in favor of Obamacare and 50.5% against it. Even in such a Blue state like New York, 56% of NY’ers want to repeal the health care bill. According to the most recent Rasmussen poll, 58% want to repeal Obamacare while 37% do not. On the issue of the $787 billion stimulus, most Americans think that it hurt the economy not helped. Most Americans do not trust Obama when it comes to the economy. Obama stated that the stimulus spending would create jobs and keep unemployment under 8%. However, after spending and wasting the tax payers money the WH is now saying that unemployment will stay at 9% or greater until 2012. Obama gets a “A” for taking vacations! “Half way back” or half way to Hell! The only “Incomplete” he gets is that he has yet to completely destroy us, but he and the Democrats in Congress, under the instructions from Soros et.al., are doing a bang up job of wrecking our way of life. I give him and them an A+ for effort. If the economy is halfway back we are in a world of SH!T!!!! The man is a MORON not apresident or a leader. He is nothing but a community organizer. No one knows what kind of a job he did as a community organizer, sounds like a poor excuse to even call it a job but in no way did it quality him to be President. He is not qualified in any field that is necessary to be President. Now some districts to not want him there campaigning, whether he is there or not they are still untrustworthy democrats and can continue on with more damage. Remember the majority of democrats voted for these laws and bills and caused us massive destruction to our economy. Is that an “I” for ignorance, incompetence or ignoring the will of the people?